On October 2, 2001, the selling world of the medical device took a dent. 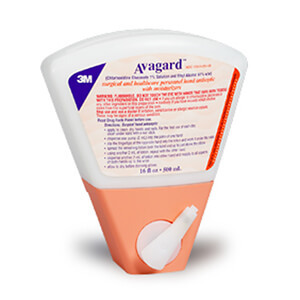 3M Company received FDA approval of Avagard® and surgeons stopped scrubbing their hands at sinks outside of Operating Rooms. At the time, I was a medical device rep selling Intraocular Lens Implants (IOLs) and the action was at the scrub sink. An ophthalmologist once told me that the first scrub of the morning reminded him of when he played hockey and was getting ready in the locker room for the game. Mentally he’s going through his plan, thinking about potential obstacles to success and talking with teammates to stay loose. I learned quickly to be present during these hallowed moments to plant seeds of discussion for the day. For a medical device rep, after each surgical case, hand scrubbing time was pure gold. The case went great? Reinforce the success. Problems during IOL Delivery? Talk it through, show a quick video and adjust course. The predictability of the setting was Manna from heaven. I remember the first time I saw Avagard used. It was at a small surgery center in Watertown, South Dakota. I met the doctor in the morning, had a nice chat at the scrub sink before his first successful case and I was ready to lay it on thick in between cases. On this day, Dr. Snyder never scrubbed again. Instead, he raved about this cool new hand scrub they were trialing at the ASC. At first, the Avagard was mounted on the wall by the sinks. Soon, it moved into the OR, the doctors stopped doing a first case scrub and never left the OR in between cases. Now, it’s ubiquitous in ORs. The Arena Changed for the Medical Device Rep, Now What? On a typical surgical day in 2001, and ophthalmologist performed 8-10 cataract surgeries per day. A three to five minute scrub between each case yielded 30 to 50 minutes in captive selling time. Gone. I wrote about all of the nifty communication tools and no one listening in an earlier post. Do all of these tools add up to the time the medical device rep lost to Avagard and the subsequent copycats? Yes. I think it’s better now. You can’t make-up the lost time, but you can get still get it. Build your own platform, send out updates, use your companies CRM system, work with your marketing team to develop custom solutions and learn how to use social media effectively. It’s my passion to help people get better with this so if you want to get a periodic email with ideas, tips and strategies to communicate and generate influence, subscribe to my newsletter or listen to my podcast called Cognified Marketing and Selling. Check-out the first episode here. My favorite new strategy to replace the time lost at the scrub sink is content marketing. Yes, you read that right. For a medical device rep, content marketing is the answer. Don’t know what it is or how to do it? Ask your marketing person or check out this great article by Ann Handley. What products can you think of that came along in your business that changed how you worked? What strategies and ideas to use to create new opportunities?How did these changes influence your business goals?